Innovation has become the most important engine of economic growth. But who innovates? Do innate ability & parental input promote a child’s chance to become an innovator? Do innovators more easily move up the social ladder? What are the implications of innovation for income inequality in society? Professor Philippe Aghion is Chair of Economics of Institutions, Innovation & Growth at Collège de France, holds appointments at the LSE and Stockholm University, and previously at Harvard. 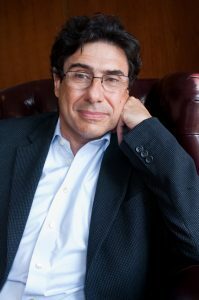 Prof. Aghion is a fellow of the Econometric Society and of the American Academy of Arts and Sciences. With Peter Howitt, he pioneered the ‘Schumpeterian Growth’ paradigm, which was subsequently used to analyze the design of growth policies and the role of the state in the growth process. In 2001, Dr. Aghion received the Yrjo Jahnsson Award for the best European economist under the age of 45. Time: 12:30 p.m. – 2:00 p.m. Thank you to Mr. Eugene Sidney Woodward, through whose generosity UBC has established a lectureship to perpetuate his spirit of concern for economic freedom and his interest in fresh approaches to contemporary economic problems and institutions.